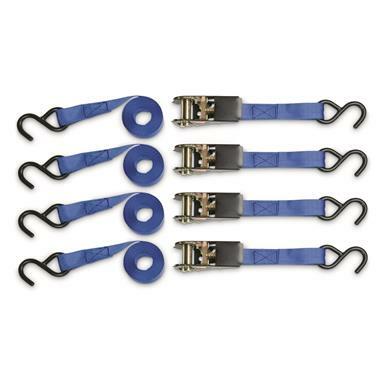 Count on these light-duty Python Ratchet Straps to help you quickly tie down cargo and equipment for safe transport. You get four 1" x 10' Ratchet Straps in this deal, each made of abrasion and weather-resistant polypropylene webbing and features a 300-lb. working load limit. 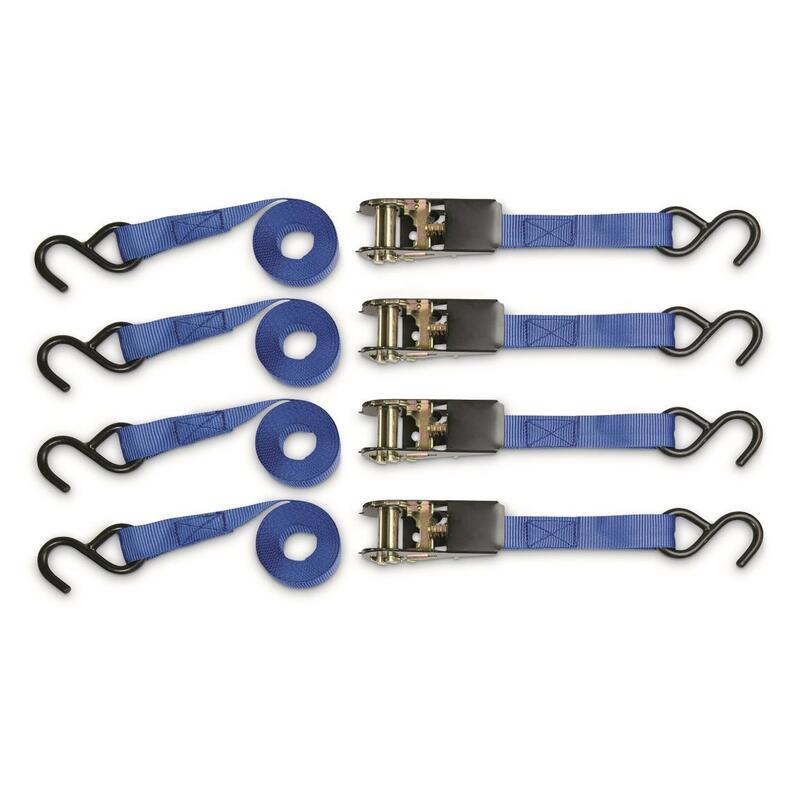 The steel S-hooks are vinyl covered to prevent marring and make securing loads quick and easy. Each measures 1" x 10'l. Working Load Limit: 300 lbs.